Our communities of Flagler County are surrounded by beautiful beaches and tranquil waterways which make this corner of Northeast Florida a truly unique and charming retreat. 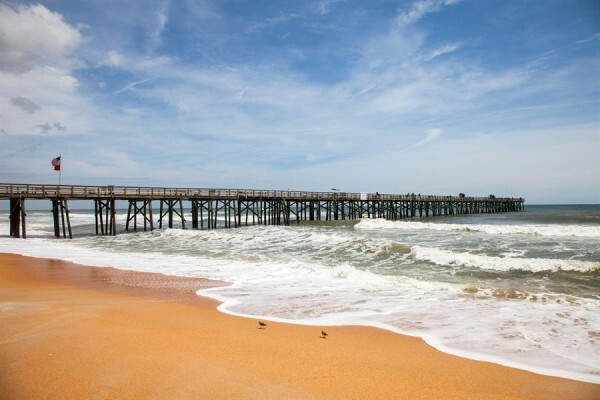 Situated between world famous Daytona Beach and quaint St Augustine, Flagler County is bordered on the east by miles of undeveloped Atlantic Ocean. Breathtaking scenery and diverse wildlife make this unique haven a very attractive place to live, work, and play. Skyway Builders, Inc builds in many of the beautiful developments of Palm Coast as well as in the City of Palm Coast itself and the surrounding County of Flagler. We are currently building or have built in the Communities of Palm Coast Plantation, Grand Haven, Wild Oaks, Ocean Hammock, Hammock Beach, Fairchild Oaks, Halifax Plantation, and The Tidelands. In addition, Skyway also builds in The Hammock, The City of Flagler Beach, and has constructed homes in St John’s County just north of us and The County of Volusia just south of us. Flagler County has diversity and a place for everyone. Whether you come as a visitor or a potential homeowner, we know you will be impressed. 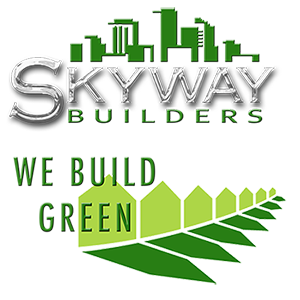 We at Skyway Builders wait eagerly to greet you! One of Florida’s newest cities (incorporated 1999), Palm Coast is a Florida paradise – situated on 70 miles of saltwater and freshwater canals and the Intracoastal Waterway and just minutes from pristine Atlantic Ocean beaches. Vibrant lifestyle and the natural environment go hand-in-hand here. The City offers a dozen beautiful parks, 125+ miles of connecting trails and paths for walking/bicycling, abundant fishing and boating, a year-round Running Series, and world-class tennis and golf. Lined with historic oaks, towering pines and indigenous vegetation, Palm Coast’s parks and trails showcase the splendid elegance of the native Florida landscape. Bird-watching is popular at St. Joe Walkway and Linear Park, which are designated as Great Florida Birding & Wildlife Trails, and visitors can spot dolphins and seabirds as they stroll along the Intracoastal at Waterfront Park. Palm Coast Plantation is perfect for anyone that loves nature because it is bordered on the west by a state-owned wildlife preserve and on the east there is the Atlantic Intracoastal Waterway. There are also many walking trails and the Palm Coast Plantation clubhouse that offers a fitness center and other activities. Families will also the convenience of nearby schools and hospitals. Perhaps the biggest draw of Palm Coast Plantation is the nearby Intracoastal Waterway. Many of the other Palm Coast communities are near the water, but those living on Riverwalk Drive will have it right in their backyard. All other residents just have to take a short drive or walk to watch the boats or take their own boat or kayak into the water. Palm Coast Plantation has its own stocked lake that is naturally fed with spring water that is perfect for fishing. There are also long biking and walking trails surrounded with palms and hickories, and the Flagler Beach is just 10 minutes away by car. The Palm Coast Plantation clubhouse offers many amenities for active residents. There state-of-the-art fitness center, basketball and boccie court, an expansive pool and several tennis courts. There is also a playground for families with younger children. Busy parents will be happy to know that most schools and hospitals are about 15 minutes away. Palm Coast Plantation is also a prime location for anyone that loves to shop or eat fine food. You can find several shopping centers and many restaurants within a few miles of your home. Grand Haven is Palm Coast’s premier gated master planned community. Coastal Florida abounds on 1,400 acres fronting the Intracoastal Waterway, and 4,000 acres of conservation land in two adjacent Flagler County parks. The Atlantic Ocean beaches are just minutes away. A world-class club features signature Jack Nicklaus golf and an expansive clubhouse. There are also two recreation centers providing endless activities. Real Estate options include existing homes in low-maintenance neighborhoods to grand waterfront estates. Homesites are available for purchase, and any of our Grand Haven Builders can design and build the perfect new home. Several models are open daily. Come discover Grand Haven. Hammock Dunes is a private oceanfront community located in the beautiful city of Palm Coast, Florida. Luxury abounds in this extraordinary oceanfront community! Made up of almost 1000 prime acres bordering the Atlantic Ocean and the famed Intracoastal Waterway, Hammock Dunes is one of Florida’s premiere, private, oceanfront communities. The community boasts of almost 1.5 miles of beach front property and 2.5 miles of Intracoastal Waterway front property. A magnificent private enclave of homes gracefully set along the Atlantic Ocean and The Ocean Course at Hammock Beach Resort. As the very first neighborhood created around the Jack Nicklaus designed Ocean Course, this truly special neighborhood is made up of some of the most spectacular homes on Florida’s Atlantic Coast. Ocean Hammock boasts some of the largest and most elegant oceanfront homes in the area. The homes have been designed to take advantage of the fabulous oceanfront and golf front views and will please the most discriminating buyer. Those fortunate enough to call Ocean Hammock home can enjoy the benefits of membership to the Club at Hammock Beach Resort with its spectacular oceanfront golf course, water park and fine dining. Indicative of luxury living, Hammock Dunes features an array of world-class amenities in an exclusive private country club setting. Membership to the Club at Hammock Dunes provides access to two championship golf courses designed by two of golf’s most respected and sought after course designers, the renowned Links Course by Tom Fazio and The Creek Course by Rees Jones. Overlooking the Atlantic Ocean, the Hammock Dunes club features casual and fine dining, fitness center as well as tennis and seaside croquet. Cinnamon Beach was created to inspire the joy in everything that is seaside living. There is something wondrous about oceanfront property. The gentle breezes blowing the smell of the crisp salt air all around you. The sound of the waves breaking on the shore, the cinnamon sand squishing between your toes while you are taking your morning stroll along the beach. And when you combine such a place with all the amenities that Cinnamon Beach has to offer, you may have just found your perfect little piece of heaven. Cinnamon Beach is a 65 acre oceanfront community located along the Atlantic Ocean within the gates of Hammock Beach Resort. What sets Cinnamon Beach apart from the rest of the resort is, it is its own little private seaside sanctuary. Although Cinnamon Beach owners can be a part of all the world-class amenities in Hammock Beach, Cinnamon Beach is completely private from the rest of the world. Cinnamon Beach features 111 homesites and 275 condominiums set to the tone of an authentic Florida seaside architecture. Living in Cinnamon Beach gives you direct access to the beach, with a choice of either ocean, golf or lake views. Now more than 10 years in the making and over 1,000 residences complete, Halifax Plantation has really taken shape as a master planned community. Future developments of Halifax Plantation will concentrate in areas to the south and west of the clubhouse. But more than the development of new homes at Halifax Plantation, the amenities, environment and many long lasting friendships have really taken root here. If you want proof of community, look no further than Tavern By The Green around lunch or dinner time. You’ll see old friends, new friends and neighbors enjoying the relaxed casual atmosphere that everyone has grown to love. The food is every bit as good as mother’s home cooking and then some. You will discover that the clubhouse, with it’s restaurant, lounge, pro shop, meeting rooms and banquet facilities, is indeed the heartbeat of Halifax Plantation. Surrounding the 25,000 square foot clubhouse is an amazing array of professional golf practice facilities that include: driving range, putting green, chipping green with sand trap, cart barn, club storage and locker rooms. These magnificent facilities are only outdone by a complete staff of friendly professionals to assist you in maintaining a fun and relaxing lifestyle. Not to be outdone by great golf, adjacent to the clubhouse is our outstanding tennis facility with 4 clay courts, Pro Shop and teaching Professional on staff. Conveniently located at the same facility is our Junior Olympic swimming pool, exercise facility and locker rooms. Everything you need to stay in shape and enjoy life to it’s fullest is here, just how you imagined it would be. Besides the golf, tennis and swimming, many of our residents love to walk, jog and ride their bikes along the many miles of winding, lushly landscaped roads in Halifax Plantation. one drive down Old Dixie Highway and through the slow winding roads of Halifax Plantation will make you feel at home. 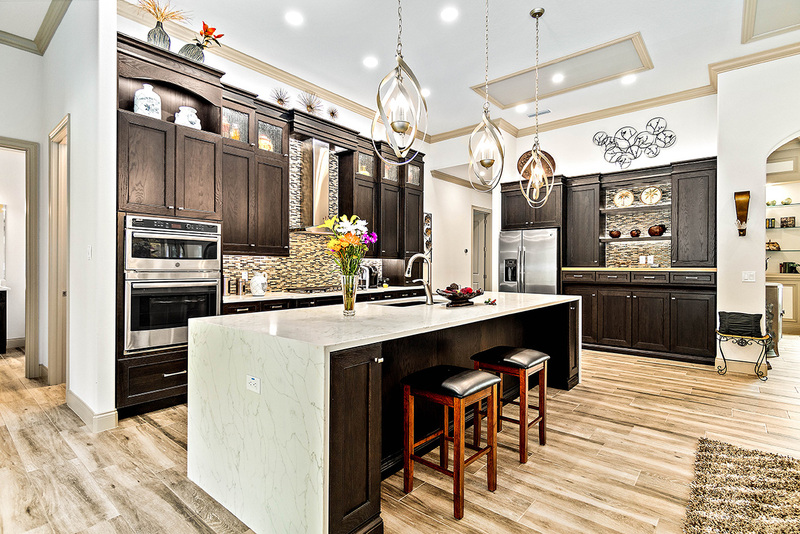 Tidelands Estates – HOA is a beautiful Intracoastal community of single family homes located within “Tidelands on the Intracoastal” originally a Centex Destination Property now Pulte Homes development located in Palm Coast, Florida. Tidelands a lush community surrounded by water on three sides where only about 40% of the nearly 80 acre community is being developed. The balance of the community showcases open lawns, oak trees, walking pathways, a park with a fishing pier on the Intracoastal waterway, 11 acres of lakes, canals, and the Intracoastal Waterway, all creating a beautiful active lifestyle community. At the south end of Flagler County is the gated community Fairchild Oaks, which is in close proximity to the coastal towns of Flagler Beach and Ormond Beach. Fairchild Oaks also boasts quick Interstate-95 access and a quick trip to the modern Florida Hospital Flagler complex. This convenience is hard to be believed when you are actually at the gates of Fairchild Oaks, as its location seems akin to the remote countryside. This lovely community, within walking distance of the expansive Bulow Creek State Park on Old Kings Road, is a great place for your family to call home.